VueLine – Joyce Mfg. Co.
A fresh perspective on value. Looking for a fresh perspective? 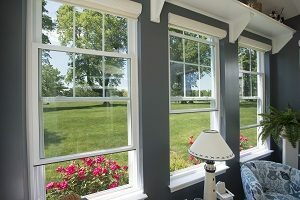 The VueLine Window by Joyce, allows your vision of the long term investment you’ve made in your home, to come to life. Value should never mean compromise, and our VueLine Window provides a “point of view” that combines a focus on quality, value, benefits and beauty that smart homeowners across the country have embraced. Featuring all welded construction and energy efficient glass, VueLine provides the quality, features and benefits for a window to last a lifetime. 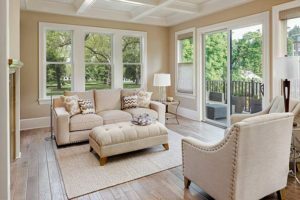 VueLine double hung windows offer these exceptional features that are normally only found in windows at a higher price point. • 3 1/4” Frame depth. • Interior glazed with options to use 7/8” IG.